I had a great time while recording this app! I’ve never caught so many fish before : -) Catch the right fish when their mouth is wide open and drag and drop into your pail. One game is just for fun, to see how many fish you can catch. Then there is a catch the right color fish, catch the right number, and a mixture of all in one!From the Developer – Check out the secret tip: You can spin the pond for an extra challenge! Also, catch the special gold and silver fish for extra points! Try the two player mode and get the family involved in the fun. Spin the pond for an extra challenge.This app is colorful, enticing and lots of fun! This app is presented to us by Upside Down Games. Spin The Pond For More Challenge! 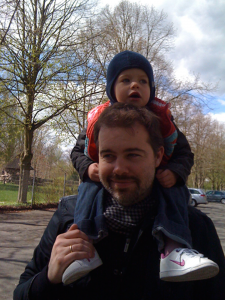 As a parent of a 4 year old and developer, I wanted to make games for younger kids that is easy to use and to understand, while still being engaging. One day, as we walked around the toy store, I was inspired by the classic Fishing Pond game. It has been around since the 19th century and has amused generations upon generations of kids. It just jumped out as a game that would be perfect for tablets, and would be easy to integrate with simple learning objectives. I like the 2 player mode where kids can play against each other. You can also play with your child and enjoy this timeless game. 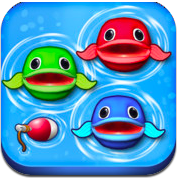 In the fun mode, you can catch as many fish as you can and make it a fun and fast game! Thank you, Mary! Wonderful videos you’ve made! Next he proceded to use both hands to get 2 fish at a time – LOL I only used one – kids are amazing, especially when they have great apps for kids!